Eleanor Agnes Lee, Robert E. Lee's fifth child, began her journal in December 1852 at the early age of twelve. An articulate young woman, her stated ambitions were modest: "The everyday life of a little school girl of twelve years is not startling," she observed in April 1853; but in fact, her five-year record of a southern girl's life is lively, unpredictable, and full of interesting detail. The journal opens with a description of the Lee family life in their beloved home, Arlington. Like many military families, the Lees moved often, but Agnes and her family always thought of Arlington -- "with its commanding view, fine old trees, and the soft wild luxuriance of its woods" -- as home. When Lee was appointed the superintendent of West Point, the family reluctantly moved with him to the military academy, but wherever she happened to be, Agnes engagingly described weddings, lavish dinners, concerts, and fancy dress balls. No mere social butterfly, she also recounted hours teaching slaves (an illegal act at that time) and struggling with her conscience. Often she questioned her own spiritual worthiness; in fact, Agnes expressed herself most openly and ardently when examining her religious commitment and reflecting on death. As pious as whe was eager to improve herself, Agnes prayed that "He would satisfy that longing within me to do something to be something." In 1855 General Lee went to Texas, while his young daughter was enrolled in the elite Virginia Female Institute in Staunton. 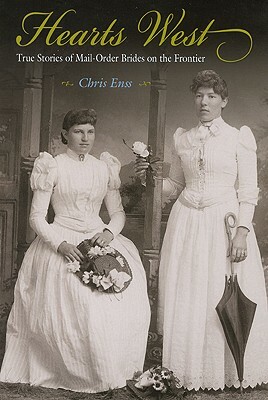 Agnes' letters to her parents complete the picture that she has given us of herself -- an appealingly conscientious young girl who had a sense of humor, who strove to live up to her parents' expectations, and who returned fully the love so abundantly given to her. Agnes' last journal entry was made in January 1858, only three years before the Civil War began. In 1873 she died at Lexington at the young age of thirty-two. The volume continues with recollections by Mildred Lee, the youngest of the Lee children, about her sister Agnes' death and the garden at Arlington. "I wish I could paint that dear old garden!" she writes. "I have seen others, adorned and beautified by Kings and princes, but none ever seemed so fair to me, as the Kingdom of my childhood." Growing Up in the 1850s includes an introduction by Robert Edward Lee deButts, Jr., great-great-grandson of General Lee, and a historical note about Arlington House by Mary Tyler Freeman Cheek, Director for Virginia of the Robert E. Lee Memorial Association. 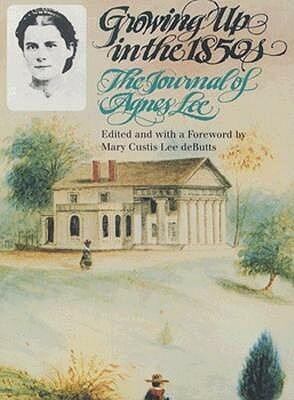 The editor, Mary Custis Lee deButts, is Agnes Lee's niece.